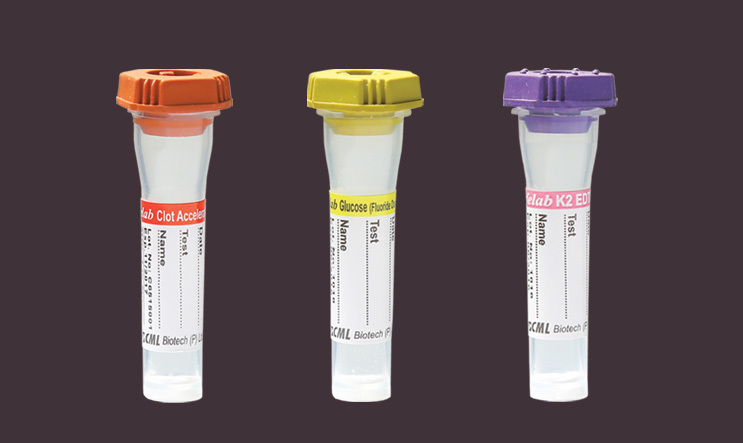 Safelab Micro	Tube	with	+	cut	Rubber	Caps	are	with	sealed	Butyl	Rubber	stopper	is	designed	with	central	cross	insertion	on	top	for	inserting	capillary	tubes. After	blood	collection,	the	cross	insertion	automatically	sealed	up	when	the	capillary	is	pulled	out,	which	effectively	prevent	blood	leaking	and	guarantee	safe	and	reliable	transportation. Blood	also	can	be	collected	by	a	funnel	which	needs	to	fix	on	the	top	of	the	cap. Very	easy	to	insert	automated	instrument	probes	through	the	caps	which	is	very	convenient	in	testing.